The Holy See's Press Office is promoting Fr.Charles Curran's moral theology.It is also making the same error as Cardinal Richard Cushing on the issue of salvation. 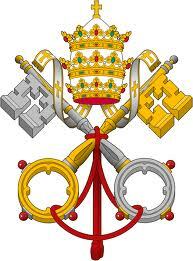 The Holy See's Press Office is promoting Fr.Charles Curran's moral theology (1). It is also making the same error as Cardinal Richard Cushing on the issue of salvation. Fr.Thomas Rosica says only those who know and do not enter the Church are oriented to Hell.This is true in the context of only God knowing who knows and who is in invincible ignorance.However in general all in the present times need to enter the Church for salvation. Vatican Council II mentions 'all'. This would mean all atheists. Atheism, traditionally has always been considered a mortal sin which leads to Hell.If the atheist denies the existence of God and lives as such, he is on the way to Hell.The atheist also does not have Catholic Faith and the baptism of water, which is needed for salvation (AG 7, CCC 846). So atheists in general are on the way to Hell unless they visibly convert into the Catholic Church with 'faith and baptism'.This is in keeping with Pope John Paul II's Veritatis Splendor, the encyclical on moral theology,which says the outward action indicates the inner intention.So we can judge the motive of a person. There is objective sin.A mortal sin is a mortal sin. An atheist needs to be a visible member of the Church for salvation.If an atheist is saved without being a visible member of the Church, we would not know. Fr.Rosica would not know. So it is not an exception to the rule: all atheists in 2013 need faith and baptism for salvation(to go to Heaven and avoid Hell). Fr.Rosica at the Vatican Press Office is making it seem that there is an atheist who can be saved and who is an exception to all needing faith and baptism for salvation, so atheists in general can be saved. Why doesn't he just say that all atheists need to enter the Church for salvation and we do not know any exceptions! This is like Cardinal Richard Cushing teaching that we know non Catholics can be saved in invincible ignorance, and since this case is known to us (visible to us), it is an exception to all needing to convert into the Church for salvation.So in general, for this former Archbishop of Boston, non Catholics could be saved without faith and the baptism of water. It is like Fr.Charles Curran saying we cannot judge the motive of a person, so the outer action does not indicate the inner intention or motive.An atheist or fornicator for him, could not be in mortal sin and he could be saved. He could have 'a fundamental option for good'. Veritatis Splendor has thrown into the dustbin the Fundamental Option Theory (Curran/Haring).But the Vatican Press Office is using it. The Holy See Press Office cannot simply say that all atheists are oriented to Hell unless they convert into the Catholic Church with faith and the baptism of water. Instead it says that an atheist can be saved, implying, we cannot judge these cases (as if they can). For them we cannot judge these cases since the sin is not objective. So they imply that atheists in general can be saved.This is a possibility and the rule, according to their unclear statements and Press interviews, and not just a possibility known only to God. It is an exception for the Press Office as they understand exceptions i.e these are visible-to-us cases now saved in Heaven or -who they will judge as going to Heaven for sure and - so they are exceptions to the teaching on all atheists needing to be visible members of the Church for salvation. Fr.Rosica writes 'it should be remembered that, under church law, it is generally held to be true that even if a person has mortal sins that they have not confessed and he or she dies, they may still hope to be forgiven'. Yes as a possibility but not the general rule. St.Paul is telling the Galatians that this is the norm for not obtaining the kingdom of God.If there were any exceptions, any one who was saved after fornicating etc, St.Paul and the Galatians would not know about it. So the norm is all atheists are going to Hell. If there was an atheist who was going to be saved or who was saved, we would not know of it. So it is irrelevant to the traditional teaching of the Church on this subject. Why does the Press Office have to mention it?. 1) Any atheist could have been sacramentally baptized in his/her infancy. 2) An individual in category #1 could receive "salutary repentance" at death's door. So what has the above observation have to do with the traditional teaching on mortal sina and atheism? 2) An individual in category #1 could receive "salutary repentance" at death's door.. Yes and this is the posible position of Fr.Thomas Rosica. Once again these are possibilities known only to God. Atheisim is still a mortal sin. An atheist is oriented to Hell at that the time of death. So what has the above observation to do with the traditional teaching on mortal sina and atheism? As all salvation is only known to the One and Triune God, I would agree with you! Being a former (weak) atheist myself, telling atheists to "turn or burn" is only going to delight nearly all of them and make them laugh at you. Telling them that they may go to Heaven will generate less scorn amongst them, although, many of them will still laugh. In the end, some of them may experience the Beatific Vision, however brief, which Saint Thomas teaches will lead to their conversions. So why had Fr.Rosica to mention an exception? As all salvation is only known to the One and Triune God, I would agree with you! So there are no known contradictions to AG 7 which says all need faith and baptism for salvation and we do not know any atheist who is an exception. The dogma is being confused since it is assumed that there are known exceptions. Your missing the point Don. Fr.Rosica believes there are known exceptions. If Father Rosica can't read Cantate Domino in English and/or Latin, such is his problem and not yours! He probably can read Cantate Domino but like numerous other persons assumes there are known exceptions. He should be saying all atheists need Catholic Faith and the baptism of water for salvation and that he does not know any exception. This is causing confusion among Catholics besides so many others. There are no exceptions, known or unknown. We both know that. A trillion lies will not and can not change one eternal, immutable Truth. Until he does know this he will keep assuming Cantate Domino is contradicted with visible exceptions. There are no exceptions, known or unknown. We both know that. Fr.Rosica does not know this. Well, that's his problem, not ours. Granted, he may be misleading many but, ultimately, they are misleading themselves, because they are certainly capable of finding forums such as this one.